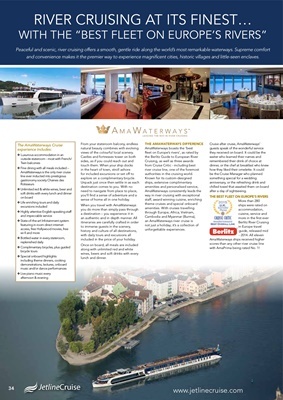 WITH THE "BEST FLEET ON EUROPE'S RIVERS"
and convenience makes it the premier way to experience magnificent cities, historic villages and little-seen enclaves. views of the colourful local scenery. explore on a complimentary bicycle. sense of home all in one holiday. included in the price of your holiday. authorities in the cruising world. after a day of sightseeing. with AmaPrima being rated No. 1!